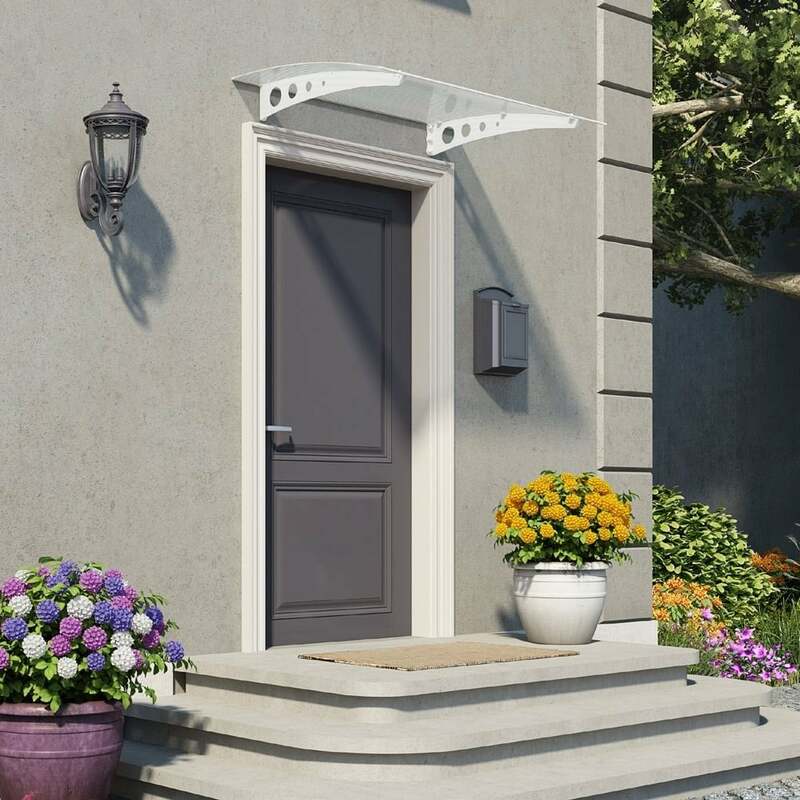 Palram Lyra 1350 Door Canopy: This attractive curved Palram Lyra door canopy is the ideal addition to the outside of the house to cover the door. The canopy has hidden rubber seals that sit against the wall to prevent water from leaking through and also an aluminium gutter to direct the rainwater off to the sides. This door canopy has a classic white powder coated aluminium framework and a 6mm twin wall polycarbonate top which is UV protected and requires very little maintenance. This Palram door canopy is very easy to assemble and comes complete with comprehensive instructions.